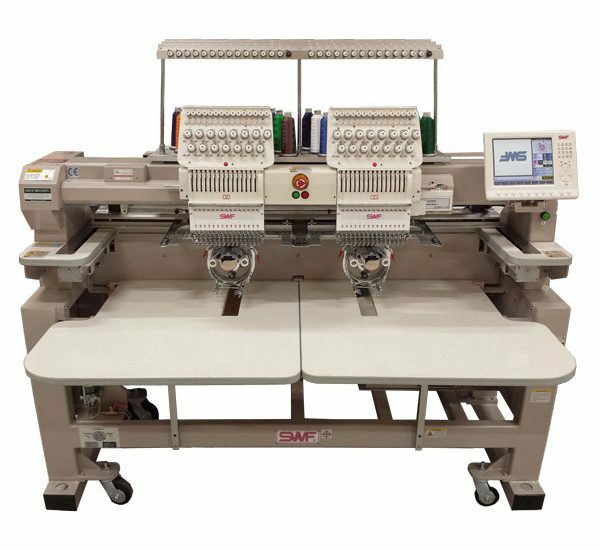 SWF K-Series K-UK1502-45 provides embroiders with dependability and the productivity of a Multi Head machine. This Automatic Embroidery Machine comes with an LCD monitor which allows you to follow along with the number of stitches as a standard feature. The K-UK1502-45 also comes with USB port, Quick Change Cap System and the SWF easy to use Oiling System. SWF includes its Oiling system standard on these units to insure dependability and provide customers more profitable run time. SWF also has a 7 year limited warranty.